The Four Ever SmileTM procedure is a unique dental implant solution that allows patients who are missing all of their upper or lower teeth to replace a full arch of teeth using only 4 titanium implants for the full restoration. In certain cases, more than 4 implants may be used. Four Ever SmileTM is a fast and minimally invasive implant procedure, based on the very latest technology. It is the absolute best option for denture wearers, or for those that are about to lose (or have lost) all their upper and/or lower teeth. 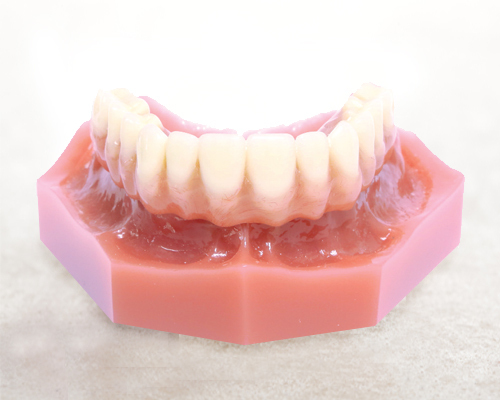 Unlike dentures, Four Ever SmileTM dental implants look, feel, and function like natural teeth. If you are living with missing teeth, or facing tooth loss, Four Ever SmileTM dental implants will help you regain a perfect smile, giving you confidence and feeling of well being.